Space Architects has been announced as the winner of the ‘Doing It: Architect’ category at the national BIM Awards in conjunction with BIM Show Live 2018 in Newcastle upon Tyne. 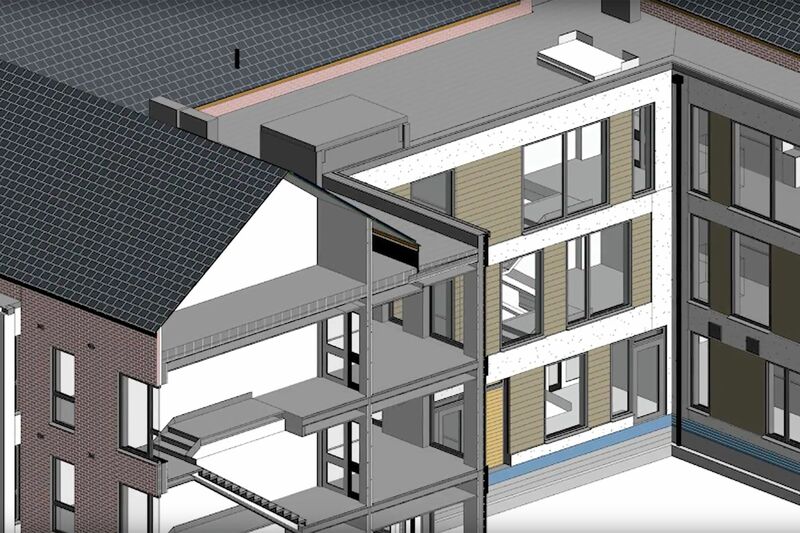 The team have been using digital construction methods to improve their workflows since 2001 when they purchased their first copy of Revit and today are viewed as pioneers in the digital construction industry with all projects following the principles of the Government’s strict Level 2 BIM mandate. In addition to this they have also established a specialist consultancy – BIM.Technologies which has worked on high profile projects such as the Vauxhall Sky Gardens, London Design Museum and Centre Court 2 at Wimbledon. Space Architects have a long-standing reputation in the BIM sector. In 2005 Space Architects completed the design of Washington School using 3D modelling in Revit, at the time they were thought to be one of the only practices in the UK adopting this new technology. Since their adoption of BIM as a central strategy in 2010, Space Architects has gone from strength to strength. For over fifteen years they have been active in the promotion of BIM and have effectively encouraged others to adopt the practice to raise the standard across the industry. Space Architects are a part of Space Group and were founded by Arnold Waring and Leonard Netts in Newcastle-upon-Tyne in 1957. The practice was recognised for its quality social housing and, as a result, its work grew steadily in size and scope. Today they are known for their specialist knowledge and experience in the design of buildings for education, commercial and health sectors and cemented its reputation with an award-winning portfolio.